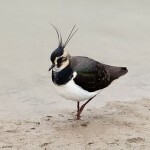 ReedDesign» Blog Archive » Birding or Twitching? While I’ve been working down in Cornwall I’ve been lucky enough to see some beautiful birds just by looking out of my window. 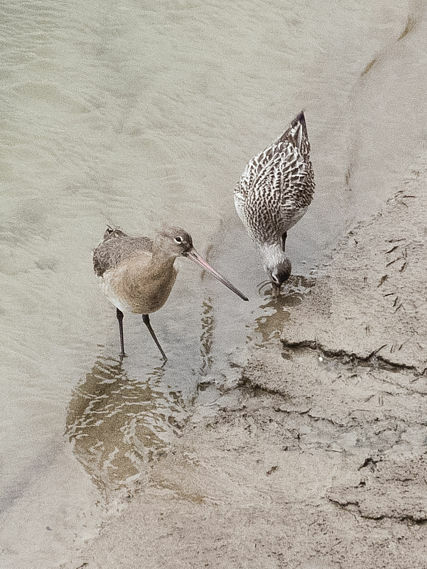 There were two that I couldn’t recognise and I had to ask on a birder’s forum. 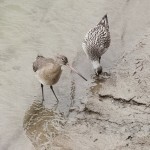 It turned out they were a black-tailed and bar-tailed godwit. 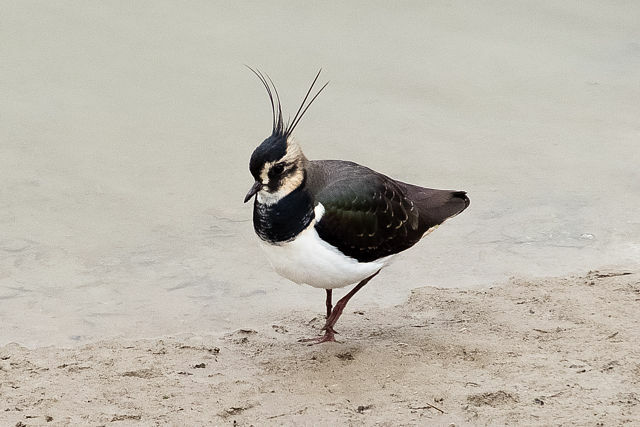 The photo’s not the best – I wasn’t quite close enough and I was having to shoot at 800ASA – but I’m still quite pleased to have photographed two birds at the same time that have RSPB red and amber status. 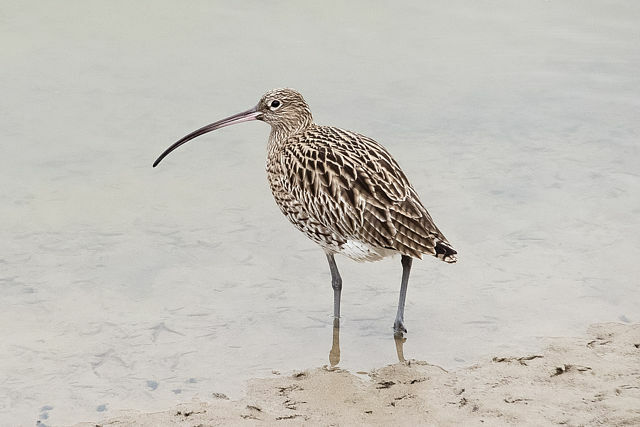 I was a bit more pleased with the quality of the photos I took of a curlew and a lapwing, also amber and red status birds. All of the photos were taken on my pocket Fuji F600. 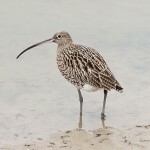 This entry was posted on Saturday, January 26th, 2013 at 11:20 am and is filed under Photography. You can follow any responses to this entry through the RSS 2.0 feed. Both comments and pings are currently closed.